There really is something for everyone in Melbourne, including families. Whether you’re looking for an action packed day out with the kids or some relaxing quality family time Melbourne has it covered. However, with so much to see don’t waste time any time, so you should look to hire a bike, use public transport or hire a Taxi Melbourne to get from destination to destination. So, without further ado, here are the top places to visit on a family holiday in Melbourne. If you’re looking to do some underwater exploration without getting wet then Sea Life Melbourne is the place to go. It has a range of attractions that appeal to all ages and something new each time to keep visitors coming back for more. With over 300 species of underwater creatures to explore and knowledgeable staff the kids will learn loads whilst having the best time. You will be transported from the penguin’s playground to the crocodile’s lair and even pay a visit to scuba santa as he makes a splash into the 2.2 million litre oceanarium. Sea Life Melbourne also has flexi-ticket options available which is great for families who need a bit of flexibility during their trip. No childhood is complete without a trip through the famous mouth at the entrance of Luna Park, A heaven for children of all ages full of carnival flair and traditional rollercoaster fun. This park has been a destination for Melbourne families for over a century and continues to provide visitors with both heritage listed rides and brand new thrill seeking attractions. A trip to Luna park would not be complete without a ride on the iconic Great Scenic Railway that transports you through the park so you can take in the beautiful views of St Kilda on the oldest operating roller coaster in the world. There’s also options to ride by night it adds that element of extra excitement and brings out the big kid in all of us! Eureka tower stands at 297 metres and is home to the best observation point in the city of Melbourne. Nothing will quite prepare you and your family for the panoramic views of the stunning city and for those who are daring enough there’s an option to go right to The Edge. A switchable glass cube that slowly protrudes from the tower whilst you’re inside! 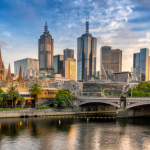 Not only do you get to see the city sights from the highest vantage point in Melbourne you can learn about the fascinating city with a host of different educational activities and interactive displays. Don’t forget to look out for your favourite places whilst you’re up there, there’s 3o viewfinders to help you. If you have a little extra time to travel just outside the city and a passion for keeping active then you should embark on this Enchanted Adventure. You can swing from the trees, slide down the giant tube slides and and work together as a family to find your way around the enchanting mazes of this multi-award winning natural attraction. There’s also beautiful green spaces for you to unwind, enjoy a picnic and take a well deserved rest. An action packed day awaits for anyone wanting to visit here. Whether your perfect day at the beach involves relaxing or making the most of the water sports on offer such as paddleboarding and kitesurfing, Port Melbourne is your ideal location. The flat and extensive golden sands also make it a perfect spot for swimming for people of all ages. There’s also a wide range of restaurants to choose from where you can sit back, enjoy the cuisine and admire the local wildlife. Melbourne is the ideal location to spend quality time with your family. 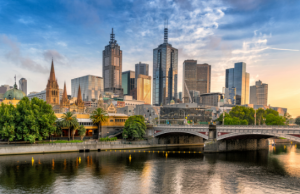 Whether it’s a flying visit or a family holiday there’s always something to do and with new hidden gems arising all the time it’s always a good time to visit Melbourne.